amaZulu, Inc. (amaZulu) is a leading supplier of natural and synthetic thatch roof, bamboo and eucalyptus building materials. We provide services and products for theme parks, hospitality, entertainment and commercial industries, as well as private consumers. 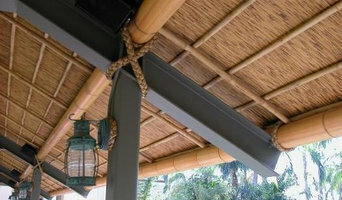 Founded in 2002, amaZulu specializes in developing "authentic" tropical materials, including natural and synthetic thatch roofs as well as thatch umbrellas, natural solid bamboo poles, synthetic bamboo poles and eucalyptus. Their product offerings also include decorative bamboo coverings, decorative bamboo boards and screens, bamboo fencing, faux cedar shake roof tiles as well as faux slate roof tiles. The company's tropical materials have been used in a number of notable projects, including the private island homes of Richard Branson, David Copperfield and Tim McGraw/Faith Hill, as well as Disney Theme Parks, Sea World, and Royal Caribbean. amaZulu, Inc. provides the following services and products: - Natural Thatch Roof - Mexican Rain Cape, Tahiti Thatch & Thatch Reed Panels - Synthetic Thatch Roof - Aloha Palm Thatch, Rio Palm Thatch, Synthetic Mexican Rain Cape, Synthetic Vio Thatch Palm - Subroof, Viro Thatch Palm - Layered, Viro Thatch Reed - Layered, Viro Thatch Reed - Subroom - Natural and symthetic thatch umbrellas - Natural Bamboo - solid bamboo poles, faux bamboo, bamboo slats, synthetic bamboo poles and, our best seller, Tre-Gai Bamboo - Eucalyptus Poles - Decorative bamboo coverings - Bamboo fencing and screening materials - Tropical ropes and nets - Faux roof tiles including, faux cedar shake tiles and faux slate roof tiles For more information, visit www.amazuluinc.com. If you are an architect, we have CAD drawings for most of our products. Finding the right building materials for your Orlando, FL home renovation can be a daunting task – not only are there an exorbitant amount of manufacturers and suppliers to choose from, but prices can vary widely, too. Builders, architects, designers and contractors can often recommend reliable suppliers to fit your budget and style; or, you can use Houzz to browse manufacturers and suppliers, flip through their portfolios and read customer reviews. 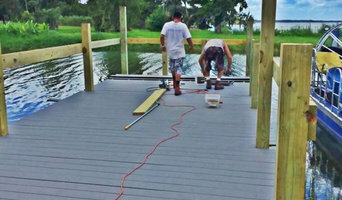 In this category you’ll find companies that source and provide everything you need to build your Orlando, FL home from the floor up, from timber flooring and synthetic grass to plumbing supplies and door hardware. Some companies will stock all kinds of hardware, while others will have areas of expertise. Raw materials and how they’re applied – including everything from metal roofing and timber panelling, to board-formed concrete and porcelain tiles – can provide infinite design possibilities. If you’re working with an Orlando, FL builder, architect or designer, they will likely have favourite building materials they like to work with, as well as favourite suppliers. Ask them for examples of how the material has been used in past projects, and seek out alternatives for comparisons. 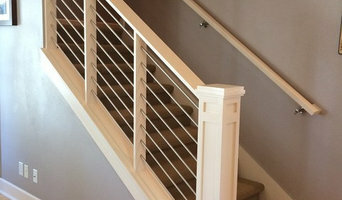 Find building supplies in Orlando, FL on Houzz. 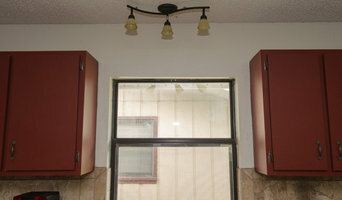 Scroll through this page to find companies that source and deliver building supplies in your area. You can browse their portfolio, read reviews and see how other tradesmen and homeowners rate their customer service, expertise and product.